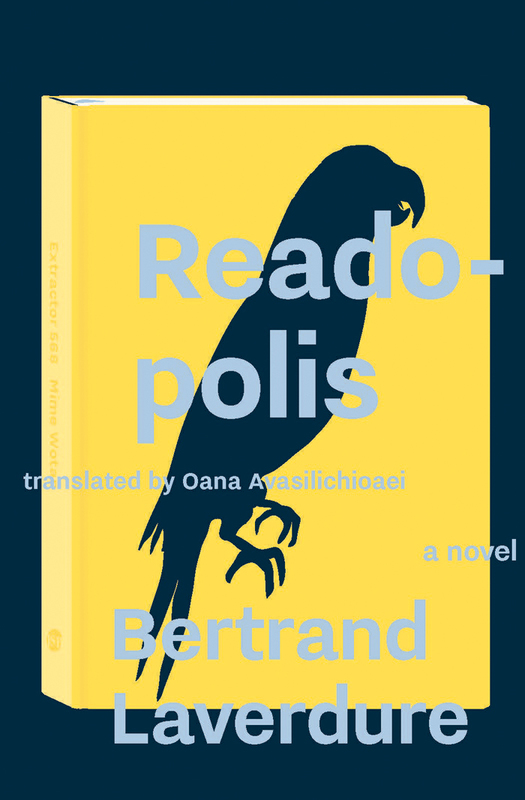 BookThug and Librairie Drawn & Quarterly invite you to celebrate the launch of the English translation of Bertrand Laverdure's novel, Readopolis (Lectodome in French), translated by Oana Avasilichioaei, on Monday June 5th at 7:00 pm! Hosted by Daniel Canty, the event is free and all are welcome. Wine will be served. It’s 2006 and down-and-out protagonist Ghislain works as a reader for a publishing house in Montreal. He’s bored with all the wannabe writers who are determined to leave a trace of their passage on earth with their feeble attempts at literary arts. Obsessed by literature and its future (or lack thereof), he reads everything he can in order to translate reality into the literary delirium that is Readopolis—a world imagined out of Chicago and Montreal, with few inhabitants, a convenience store, a parrot, and all kinds of dialogues running amok: cinematic, epistolary, theatrical, and Socratic. Bertrand Laverdure is a poet, novelist, and the current Poet Laureate for Montreal (2015–17). A prolific writer, Laverdure is the author of three books of poetry and four novels, including Lectodôme (2008), Bureau universel des copyrights (2011; published in English by BookThug as Universal Bureau of Copyrights in 2014), and La chambre Neptune (2016). He has won many awards for his work, including the 2003 Grand Prix du Festival International de Poésie de Trois-Rivières, and the 2009 Grand Prix littéraire Archambault for Lectodôme.